Things happen when you at least expect it…! 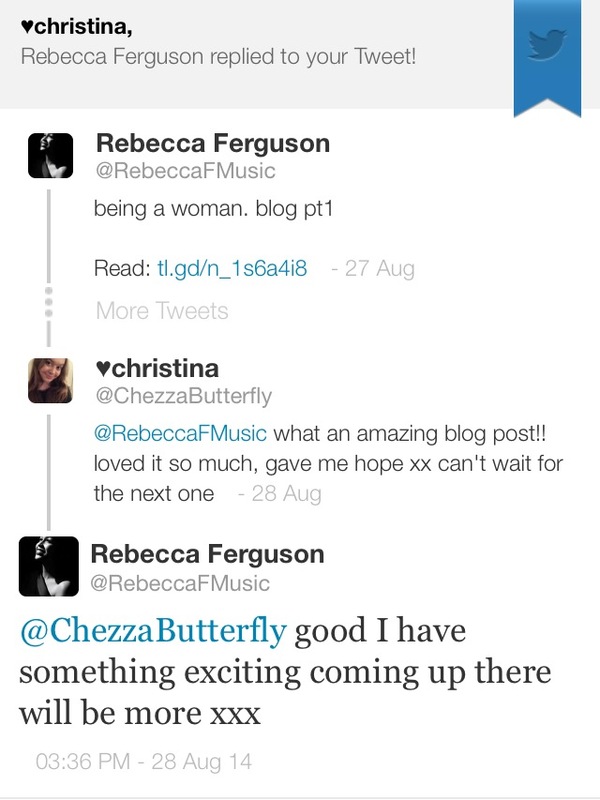 This entry was posted on Thursday, August 28th, 2014 at 3:54 pm	and tagged with happy, rebecca ferguson and posted in Random. You can follow any responses to this entry through the RSS 2.0 feed.